Finding the right job can be arduous for any one, and even more so when you work in a specialised industry or sector. If you are searching for a job in the science and clinical industry, working with a specialised recruitment agency such as CK Group could be the solution to your job-hunting challenges. Here are some of the main benefits of using a specialised recruitment agency when applying for a new job. Surprisingly, only 30% of all new jobs are advertised. However, recruiters working on behalf of multiple businesses at once are the first to know who will be hiring, even if the position isn’t advertised yet. Working with a recruitment agency can provide you with that insider information, giving you a head start. By using CK Group as your recruitment specialist you will have access to a large array of job opportunities in the scientific, clinical and technical industries, from the top life science companies to the latest start-ups. Did you know that 59% of applications will be rejected based on poor grammar or spelling errors, and a further 50% of candidates will be rejected if their resume is full of clichés? If you want to get noticed it is highly important to get your resume spot on. Recruitment agencies are experts at helping candidates with resumes and application forms. They understand exactly what hiring managers are looking for, and how to make you stand out from the crowd. They will provide you with constructive feedback, giving you the best possible chance of success. In a recent survey, 33% of hiring managers said they know whether they would hire someone in the first 90 seconds and 47% stated that they wouldn’t offer the job to a candidate if they had little knowledge of the company. It goes without saying that interview preparation is essential for successfully securing a role. Recruitment agencies give you a great advantage in preparing for your interview. Not only will they have more knowledge of the hiring companies’ cultures and job specifications than available to you online, they can also give you more of an understanding of what the companies expect when it comes to your application, interview and the hiring process. Searching and applying for jobs is a very time consuming and tedious process, especially if you are working full-time. With there being hundreds of jobs listed online, it can be a struggle knowing where to start. In a competitive job market, you may find yourself applying to jobs for a while before the right one comes around. According to the Department of Labour, the average job search takes an astonishing 10 months. By having a large network of staffing consultants with hundreds of job openings on file, recruitment agencies can save you a huge amount of time; you will have only the most suitable jobs selected for your skill set, with interviews, inductions, reference checks and all other additional time-consuming tasks being arranged by the agency. What happens once I get the job? CK Group will be on hand throughout your job-hunting experience – and once you have successfully secured your job our support will continue. If you feel you need to negotiate your salary, CK will know what the company can or cannot afford and will be able to give you an idea of what other companies in the space are paying their employees, ensuring you get the highest salary possible. Paperwork and documentation will also be handled by your recruiter, guaranteeing everything is in place for your first day. CK Group has built strong relationships with a client base that includes 26 of the world’s top 30 leading blue-chip organisations, as well as a multitude of SMEs and everything in between. We strive to be the best provider of staffing and outsourcing services for the science and technology community by providing an excellent experience for our candidates. If you would like to know more about how we can help you in your job search, why not take a look at our website and register for CK+? The New Year often signals a sign for change, a new challenge or an exciting opportunity. It therefore isn’t a surprising that January is the most popular month to make a career move. A survey by Gallup showed that 85% of workers worldwide admitted to not enjoying their jobs, with ‘lack of job satisfaction’ being cited as the number one reason for wanting to change roles. If you are feeling the January blues and are particularly interested in a fulfilling career within the scientific and clinical industry, as with any goal the first step to success is organization and planning. Are you wanting a change of career/industry or just a different position? Would you be willing to re-train or go back to study to get the position you want? How much responsibility are you willing to take on? We spend a substantial portion of our life at work, a third of our lives to be exact. It is therefore important that you find your job enjoyable and rewarding. However, chances are you will never love every aspect of your work – whether it’s the admin side of the job, the long hours or the people you work with. People who tend to focus on those negative areas rather than being grateful for the positives are more likely to feel depressed and discouraged. It is important you find a role that is professionally and personally rewarding, but it’s also important to remember to focus on the areas you like and not just those you don’t. Your job and career are an important part of your life, they give you a sense of purpose and money to pay your bills and do things you enjoy. However, when looking for a new job it is important to consider the balance between work and play. For example, if you are currently very overwhelmed and stressed in your workplace, think about looking for a job with less responsibility, or flexible hours. Although this may result in a pay cut, it will improve your overall work-life balance. If these are important to you, when applying for a job remember to ask what the opportunities are for progression and training. Does the company culture fit your personality? Company culture defines the environment in which employees work; some companies have a relaxed team-based culture, and some a strict corporate management style. It is important to do your research about a company’s culture when job searching. This can be done by looking on sites such as Glassdoor for reviews. You are much more likely to enjoy time in your workplace and have high job satisfaction if the company culture is one that you enjoy and can relate to. Step 1– Take time to identify your personal core values; what do you place importance on, what values do you dislike etc. Step 2– Familiarize yourself with your organization’s values; what matters most to the firm, how do they treat employers, what area of the company do they invest most in. Step 3– Create a plan; if there are certain attributes or values that are extremely important to you, ensure your workplace places importance on them too. By following these steps, you will hopefully find a company with the same values as yourself, making life at work much more rewarding. Many organizations start their recruitment process at this time of year, so it’s a great time to take stock and re-evaluate what you really want. By following our tips and advice, you can make sure you’re clear on what you want and be prepared to grab the opportunity when the right one comes around. If you are aiming for a fresh start in your career in 2019 keep an eye on our job listings here . We can help you to kick-start your job search in the right way. With the political climate constantly changing on a daily basis, uncertainty of what will happen in 2019 is making planning a challenging task for many companies in the science and clinical sector. Planning for your recruitment strategy doesn’t have to be so arduous. Whilst uncertainty looms upon us, why not opt for a more flexible recruitment model? If you are looking for a bit of stability and security, a responsive recruitment approach like contract and temporary recruitment might be a more favourable solution. Temporary contracts range from 3 months to a year, and once the fixed amount of time is over the position terminates with no further commitments. 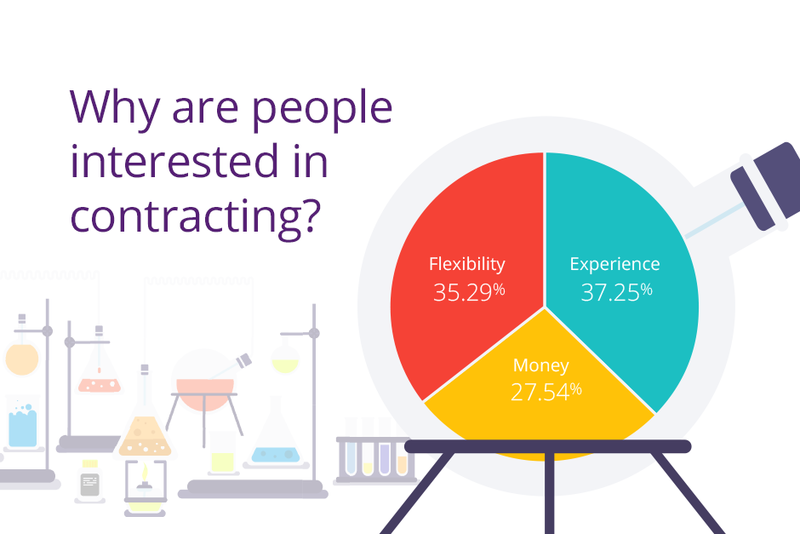 These types of contracts are becoming increasingly more attractive, and it’s not just employers seeking flexibility. In the last decade, since the uncertainty of the recession, the self-employed workforce has risen by 45%, and now accounts for 15% of the working population. This model has proven to be especially popular among the millennial generation who desire a more flexible lifestyle and to work on projects they feel passionate about. In a recent survey by CK Group, we found that 80% of our candidates have previously worked in a contract position and 60% would be happy to consider another contract role. 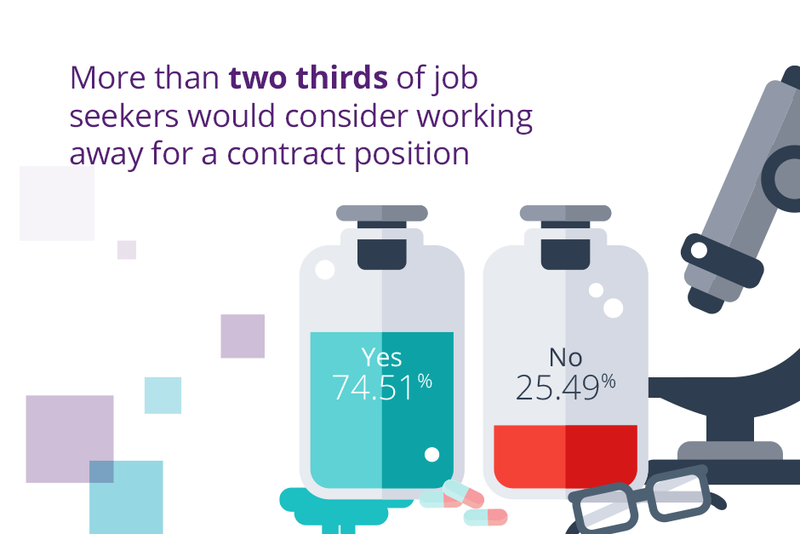 We also found that a third of candidates looking for work seek contract roles as a way to gain experience over money, with another third using temporary contracts for flexible working. Here are a few of the key benefits of taking on contract workers to fill your short-term needs during these uncertain times. Flexibility is vitally important during these uncertain times. The main benefit of contract recruitment is that contractors can be brought on as and when needed to address seasonal specific work requirements, and to help stabilise your business without any commitment. They can be hired on a short-term basis, ensuring that if there are budget cuts, or if the project is completed early, there are limited consequences. Hiring a contractor is ideal if you experience a high project turnaround and need to build a team quickly to support rapid growth or sudden unexpected demand. As contract recruitment is for a fixed amount of time, less consideration is needed when employing someone new. This, in turn, makes the hiring process easier. Furthermore, contractors usually have the necessary licenses, permits, and rarely require any training, so can start the job immediately. Companies are not the only ones feeling the uncertainty. Many STEM experts are refusing to change jobs for fear of lack of security. Therefore, hiring permanent staff for unconventional jobs is harder than ever. However, contract candidates are more willing to take on those niche roles. For example, 74.5% of CK Group contractors would consider working away 4 days a week for a contract job, which is ideal for those companies in a remote or difficult location. 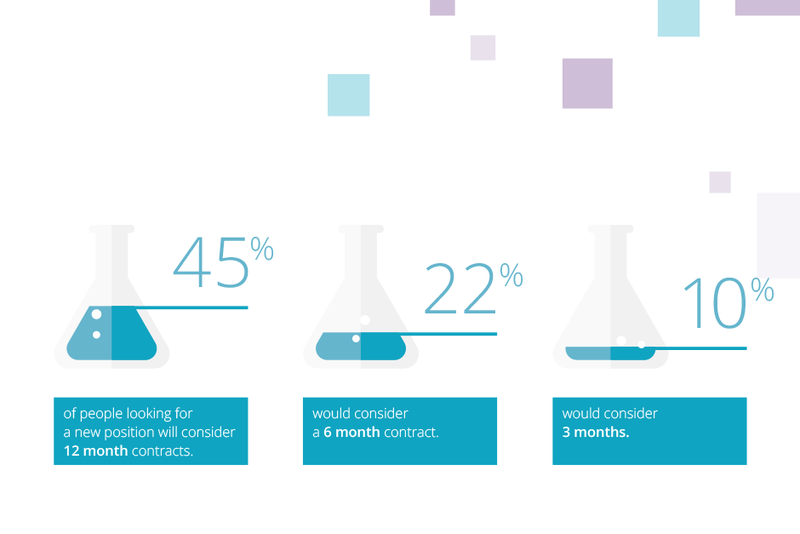 Additionally, 55% of people asked would relocate for a contract role. They would also be happy to fund their own relocation. At CK Group we have many experienced contractor candidates with specific skillsets in their field. Contractors tend to gain a lot of specialised experience while working on short- term projects for various different companies within your industry. They acquire unique skillsets which can be transferred onto the next jobs. They can bring a new and unbiased third-party perspective to your organisation, and help you run projects more efficiently. In short, they can provide a competitive advantage to help you stay ahead of the curve during these uncertain times. There are also financial benefits to hiring contract staff. Hiring staff on a contract basis allows you to easily stick to a budget, avoiding any additional expenses such as training expenses and taxes. In fact, hiring a contractor can cut your payroll costs by 20% to 30%. Contract staff are hired for a set amount of time and at a specific rate. This makes it very easy for organisations to calculate the exact hiring cost, allowing you to have tighter control over your allocated budget. For CK Group’s contract staff employed on a PAYE basis, CK Group will cover all employment matters such as employee rights, holiday and their Employers National Insurance contribution, releasing you from this burden. All in all, hiring contract staff might be a more favourable solution for those companies who need to plan for the short term. To find our more, get in contact and we will be happy to answer any questions. Over the last couple of years there has been a lot of conversation around mental health in the UK. Despite this, discussing mental health in the workplace still holds a stigma. In fact, 92% of people who suffer from bad mental health feel that admitting it at work would negatively affect their job. As over three quarters of people experience symptoms of poor mental health at some point in their life, this is not a stat to be taken lightly. Providing wellbeing initiatives aimed at improving employees’ mental health can not only help improve a company culture but can also play an important role in your recruitment marketing. A general misconception is that mental health initiatives are purely for internal purposes. When asked in a recent survey by Robert Walter, only 33% of employers said they thought this would be important for attracting new recruits. In contrast, 88% of professionals consider mental health and wellbeing initiatives at work important when looking at applying for jobs. Candidates are now looking for more than just a salary, and wellbeing perks are an attractive benefit to jobseekers. They want to join a company which will look after them, and reward them. Offering perks such as discount gym memberships, healthy food options or wellness days out of the office won’t only look impressive on your job adverts, they will also put you in an advantageous position compared to competition. But there are far more advantages to offering wellbeing initiatives than just for recruitment purposes. Here is a short list of some of the other benefits. Currently, on average, only 2 in 5 employees are working at peak performance at work. This lack of productivity is mainly due to distractions because of wellbeing issues, including poor mental and physical health. For example, studies have demonstrated that employees who smoke, don’t eat healthy diets and don’t exercise are those who suffer from presenteeism the most. By focusing on employees’ wellbeing and helping them to improve their lifestyle and mental health, companies could motivate their workforce by eliminating some of the main causes of distraction. Rewarding your staff with wellbeing initiatives increases their loyalty to the company. The feeling of being looked after will keep your staff feeling motivated week after week, keeping them satisfied at work and more likely to stay on longer. As workers aged 25 to 34 stay on average three years at a job, companies should be looking at more incentives like wellbeing perks to reduce staff turnover. A healthy lifestyle has been proven to make people happier. Providing your employees with wellbeing-focused perks could help employees feel more satisfied and overall happier in the workplace. In short, happy employees produce better work. Additionally, discontented staff tend to distract other coworkers whereas happy employees attract like-minded people to the business and create a positive culture. Keeping everyone content will avoid creating waves in your workforce. As mentioned previously, three-quarters of people suffer from bad mental health at some point, so encouraging your staff to concentrate on their wellbeing could help reduce these stats in your workplace. Investing in wellbeing initiatives now could help you save money in the future – for example it could help prevent early retirements, save on absenteeism costs as well as avoid hefty insurance claims if you provide your staff with health insurance. The bottom line is that wellbeing initiatives not only help you market your company better to potential candidates, but they also help reduce your staff turnover and improve your overall company culture and staff productivity. Studies have proven that in all industries, including STEM industries, salary and career opportunities are the two biggest incentives for candidates when it comes to choosing a place to work. However, according to a recent survey by Glassdoor, over a third of people admit to choosing a company over another based on the extra perks. Increasingly, the desires of candidates are shifting and they tend to be more interested in a good work-life balance rather than a big pay package. Besides, job perks don’t only attract new talent – they also help with staff retention. According to Capita’s latest employee insight report, nearly 70% of staff are more likely to stay with a company if they feel they are offered good benefits. Perks teamed up with salary increases are the best combination to keep your workforce satisfied and motivated, creating a nicer working environment and boosting productivity overall. In this article we investigate the UK’s favourite perks. Rather than the traditional nine to five, companies are increasingly offering Flextime – allowing employees to work when suits them best. Some employees will like a lie in and come to work later. Others, notably parents, may prefer to come in earlier and leave when school finishes, to spend time with their children. Offering employees this flexibility means they work their 37.5 hours when they feel most motivated and will help them attain a better work-life balance. Interestingly, 30% of people would rather have the option to work from home rather than get a pay rise. Many roles don’t require employees to be in the office every day. Giving staff the option to work from home from time-to-time helps them save money and time by avoiding their daily commute. This perk is especially useful for those employees who live further away or have families. High childcare costs often put new parents off returning to work or persuade them to work part-time. A good way to attract and retain new parent employees is to offer onsite childcare like a nursery or to help out with childcare costs. Being a parent is stressful enough – if companies can help relieve some of that stress then these employees can be more relaxed at work and consequently be more productive. Another attractive perk for soon-to-be parents is extended parent leave. Again, this won’t cost a company much but will keep these employees satisfied and encourage them to return after their parental leave. Office outings are a great way to boost office morale and help with team building. They can create a community feel in the office and build staff confidence. Office outings are especially useful for newcomers to get to know their peers. When applying for a company, the prospect of feeling welcomed into the company community straightaway can be appealing. Holiday time is precious – and the more a company offers, the more attractive it becomes. Furthermore, holiday time allows staff to rest and rejuvenate, keeping them happy and relaxed. Some companies have gone as far as allowing employees to take unlimited paid leave – leaving them the choice to have time off whenever they wish and avoid feeling burnt out. So, if you are looking to recruit or are struggling with employee retention, it may be worth reconsidering your company benefits. Many of these don’t necessarily cost much – but will have massive returns on investment in terms of employee satisfaction, overall productivity as well as more candidates applying for your company. With the average job seeker looking at 7.6 job sites to find the best available job openings, attracting the right talent for your organisation is now harder than ever. Gone are the days of just posting your job openings on job boards and hoping for the best. If you really want to hire the top talent out there it will require much more work. Companies are now expected to actively put themselves out there to attract the right people. This is time consuming and needs a dedicated team and hefty budget. An alternative is to avoid the hassle and partner with a specialist recruitment company. Here are some key reasons why partnering with a specialist recruitment company could give you that much needed competitive edge. A potential candidate will judge a company based on their employer branding. They need to imagine themselves working there as well as understand the company’s culture and what the job will entail. Larger organisations may have the budget to create a whole recruitment branding campaign, but for others it is not that simple. By partnering with an agency, they can get to know your company and in turn represent you appropriately to candidates, giving these potential employees a real insight into your business -current job openings, benefits and career progression as well as a feel for the culture. Specialist recruitment companies like CK Science know the ins and outs of the industries they work in. It is their job to keep up-to-date with all the latest developments. They can provide you with expertise and guidance based on their past experiences. They can help you figure out how to reach the sort of candidate suitable for your job opening, how to set appropriate salary rates and the potential issues that could arise etc. Probably the main advantage of working with a leading specialist recruitment company is that we readily have available candidates, with the right expertise, registered with us. At CK, thanks to our reputation and tools such as CK+ we have direct access to an impressive pool of talent with specific skills related to the science industries. In addition, recruitment companies tend to have good relationships with job boards – getting good value adverts in prime positions. The right candidate may not be actively looking for a new job and therefore will not come across your job opening. A recruitment partner like CK Science will actively go seeking talent that may currently be in employment and not looking right now. On average 250 people apply for every role. Unfortunately, nothing guarantees that any of those applications will be fruitful. This also means it takes up an enormous amount of time sifting through all the CVs, to make a selection and to carry out interviews. By working with a recruitment company, you can skip all the admin and only see the selected final few candidates. This gives the HR manager, or whoever deals with hiring, the time to do other more pressing tasks. Over time, partnering with a recruitment company will provide even bigger benefits. As they get to know your company, understand your needs and gain your trust, the recruiting process will become smoother and quicker. A company like CK Science will quickly get to understand the types of candidates you are looking for and find you exact matches every time. For more information on partnering with CK Science to find the right candidates for you, contact us here. There are lots of mixed emotions around Artificial Intelligence. Some people are scared it will replace human jobs, whereas others see the enormous potential. Nonetheless, whatever people’s stances are on it everyone agrees that AI software is present everywhere. Whilst the recruitment industry is growing, AI technology companies are seeking the opportunity to get involved. These new generation tech start-ups are using Artificial Intelligence software to try and disrupt this “people-centric” industry. In the last few years we have seen a number of successful (and some less successful) software companies offering solutions that provide an “unbiased” or “more efficient” recruitment process. But could traditional recruitment as we know it, renowned for being such a personal and interactive industry, be replaced by robots? Recruitment is an industry which will always be indispensable – there will always be a need for hiring talent and placing people in best-fit roles. However, the way we recruit could see change with the introduction of AI. Much of AI in recruitment is about sorting through data and automatising the recruitment process. Recruitment companies receive a vast number of CVs each day. On average, a job opening will attract over 250 applicants – and around 23 hours of Recruiter time to sieve through them. To save time, tech companies are introducing new software that can ease this process and make it more efficient. These new systems are capable of sorting through every detail of an application and assessing potential candidate, without tiring out. Others new software systems claim they have the solution to creating an unbiased process. A good example of this is Headstart. This recruitment app claims to match students from a range of backgrounds with opportunities at leading companies, using a series of contextual and predictive algorithms. According to the app, this process reduces natural human bias as it selects candidates purely on maths and facts, and not emotions. However, this is debatable as it has been proven that machine-learning is influenced over time by human bias. AI technology adapts to regular patterns – over time it would recognise that a company has been employing a certain type of candidate, and would alter its algorithms to continue to look for that same type in future. This in turn makes the problem worse and can cause even bigger discrimination issues. Also, another question to ask ourselves is can AI really replicate human common sense? A big development for AI and all digital systems is the soon-to-come introduction of new data protection laws. Data automation in all industries has had a lot of bad publicity. So much so that from May 2018 new regulations are coming into place to protect data – the General Data Protection Regulation (GDPR). The idea is that these regulations will give people greater control over their privacy and personal information. This is worrying for the AI world as transparency has never been its forte. Under the new laws candidates must give consent for their personal data to be collected and used. Personal data will no longer be easily accessible for AI softare to sift, which in turn will limit its potential. Companies heavily reliant on AI software will struggle to explain their decisions to applicants, and especially those who have not been selected by the algorithms. We predict many will have to rethink their recruitment strategy in order to comply with GDPR. Those who don’t obey will face hefty fines. The recruitment process is as much about selling a job to a potential candidate as it is finding the right person. A chosen candidate needs to make a decision on whether the role is for them, and in many cases, they may have to be reassured. They will have lots of questions and will need to trust the recruiter before taking any chances. This is an area where personal human interaction and sensitivity is absolutely vital, and no machine can replace that. Over the next few years we will see some AI influence in the recruitment industry, but with GDPR coming into place there will inevitably be limitations. AI may help certain aspects of the recruitment process, but a machine will never be able to reassure candidates, decide whether someone will fit into a certain company culture, understand someone’s capabilities or fully grasp whether they are being genuine. Rumour has it that December is a bad month to look for a new job. It may be true that December can be slow. Companies take a while to get back to you regarding interviews and offers, HR managers can be putting off tasks until the following year and many people are on holiday, making the entire process inefficient. However, despite all that, the last two weeks of December can be an exciting time to start looking. Despite the Christmas frenzy happening in the outside world, December, and especially the last two weeks, can be quiet times in the workplace. This makes it the ideal time to focus on thinking about what you want to do next, rather than wait until January when everything picks up and starts getting hectic all over again. This is especially relevant for companies who need specific technical skills. If you are a near-match, they will be interested, whatever time of year it is. The general belief is that January is a time for change, so start now and get ahead of the game? Everyone will be looking for new jobs in January, so our advice is to get ahead of game and be the first CV on the pile. If you have found a job listing which matches your skill set, send us your applications now to beat the January competition. Following from point 3, if you start to look in December not only will you be in the lead compared to the January applicants, you will also impress recruiters and companies with your determination. It’s easy to take December slow, but if you are one of those who doesn’t lose motivation and stays proactive, that will shine through. It can take a while to get motivated when launching yourself into finding a new job. From re-writing your CV to finding the good jobs and practising interviews, it takes time. On average, finding a new job usually takes just over six weeks. If you start thinking about changing now, you could be starting the year afresh with interviews and be placed in a new job by February. If all you want for Christmas is a new job don’t fall in the December trap, start your New Year resolution early. CK Science is pleased to announce the launch of their Refer a Friend scheme. The scheme rewards you with a £50 Amazon gift voucher if you refer a friend or colleague to CK Science and we successfully find them work. Its simple! So if you have friends or colleagues that are currently looking for work and arent registered with CK Science, refer them to us and we will do the rest. The referrer needs to inform CK Science who referred them at the first point of communication. The referred individual needs to be in continuous work for 3 months before the £50 Amazon will be issued. Chemistry World has recently reported on a study into the effectiveness of the allocation of grant money to the scientific community. The study, conducted by David Currie and Jean-Michel Fortin, biologists at the University of Ottawa, Canada, found that a series of smaller grants to a wider variety of people and institutions is more conducive to effective and meaningful research than large grants to the ‘elite’ in the scientific community. The conclusions of Currie and Fortin indicate that an increased monetary grant does not increase productivity. Highly cited studies are seemingly unaffected by the level of funding received. The impact generally comes down to the quality of the researchers, regardless of career stage. Some more experienced scientists could have larger grants but less time to perform studies due to other commitments, such as teaching, and so cannot fully use the grant money. It would therefore be better to disseminate the money to a wider variety of researchers so that more diverse research could be performed. Essentially, the money from grants is better used to improve the scientific community as a whole, rather than for the benefit a few specific areas of research. By funding the elite institutions, it is probably that the vitality and variety of scientific thought will be significantly dulled. Graduates – Great for Business! Whilst experience is always a bonus, the hiring of graduates is also good for a successful business. Here are a few reasons why. It may seem obvious, but an experienced person is going to want more money than a graduate, even if they are applying for the same position. To reduce annual company salaries it makes sense to hire the cheaper option. The fact that you’ve hired a graduate and given them an initial taste of working life would tend to make them err on the side of gratuity. Carefully managed, this could translate into loyalty to your company. The inexperienced graduate would want to prove they can perform as best they can in their new job, possibly with little knowledge of the market and arguably their true worth. Should they turn out to be one of your better performers, managing them successfully could mean they stay for longer than they otherwise would. New graduates are more likely to be adaptable and au fait with current and emerging technology. It could be better to have an employee who is more capable of throwing themselves into various fields of work, rather than an expert in just one or two. The ability to use new technology is also obviously a bonus, allowing your business to stay at the cutting edge of new developments. These, plus other reasons that can be found on The Undercover Recruiter, are just a few reasons as to why graduates are excellent candidates to hire for your business. Click here to view candidates for your business, now. Good employees are obviously fantastic to have, but by performing well they may start to cast their eye around in order to find a better job, possibly at a competitor. If this is the case, how are you supposed to go about keeping your best staff? To begin with, make them feel appreciated. It seems counter-productive to ignore how well they have been performing and not address the fact that they may be coveted by other companies. If you recognise and mention this to your best performer then you can explain why you want them to stay, highlighting what they have been doing well to boost their confidence. Spend time coaching and helping them develop new skills and techniques that will assist them in their current role. Do not, however, promise money in order to get them to stay. This would give them a clear route to leave should you not deliver, as you have shown you do not keep promises. Furthermore, support their career development. As a manager, it is your job to get them to achieve the career goals they have set out, whether that is in their current job or not. By doing this, and therefore indicating your importance as a career mentor, you could encourage your star employee to stay on longer, so as to work with someone they respect. Make sure to work with the better performers! Again, this is necessary in order to get them to feel appreciated in their role. By spending all the time with the weaker members of the team, those who are performing better may feel ignored and seek a position where they are more valued. By doing this, you may not guarantee that your staff will stay forever, but you will increase the chance that they stay for longer. Don’t feel that by working towards their goals you’re helping them to leave; it will benefit your company too, by increasing the standard of work that is produced by your team. CK Science are pleased to be attending the 13th BioDundee Conference on 29th and 30th May 2013. We are performing our yearly review of the science recruitment market to make sure that when you use CK Science to find your next job, we can guarantee we find you the right role, with the right company at the right salary. However, we cant do this without you, so if you are keen to help and would like to see the results of this review please click the link below and complete our survey. Are you currently looking for a new science job? Pharmiweb have reported that MerckSharpeDohme and the Bill & Melinda Gates Foundation today announced that they will work together to expand access to family planning, a critical step in improving the health of women around the world. MSD intends to pledge up to $25 million over eight years as part of MSD/Merck for Mothers – the company’s 10-year initiative to reduce maternal mortality around the world. This pledge will be matched by the Gates Foundation as part of its commitment to family planning. Are you looking for a new job in Science? As reported by the BBC, European scientists have developed robotic fish which detects contamination and pollution in water. The pollution-hunting fish is 1.5 metres long and cost £20,000 for the scientists to develop. It is fitted with sensors which pick up pollutants leaking from ships or undersea pipelines. In fact, the fish reduced the time it takes to detect pollutants from weeks to seconds. The fish can communicate with each other, avoid obstacles, map their journey and transmit their data back to shore. Currently undertaking first trials in northern Spain, modifications will then be made to improve the large yellow fish. The project has part-funded by the EU and used expertise from scientists from the University of Essex and the University of Strathclyde. Further input came from the technology consultancy, the BMT Group and from the Tyndall National Institute and Thales Safare, which is a unit of Europe’s largest defence electronics group. Are you a Scientist looking for a new job? Click here to search our current Scientist jobs online now. The CK Science Durham office has moved to a new environmentally friendly site! We are extremely excited to announce that the team at the CK Science Durham office have today moved premises to the environmentally friendly Rivergreen Centre in Durham! The new offices are a mile to the north of Durham City and are set within the Aykley Heads estate. It is only a few minutes’ walk from Durham main line station and the local bus services and also has ample free parking for visitors. The CK Science team are now looking forward to welcoming candidates and clients to this award-winning new location to discuss their career and recruitment requirements. The telephone and email addresses will remain unchanged. To find out more about the new CK Science Durham office, please click here. To meet the CK Science team, please click here. For more information, please contact Reena on +44 (0)1438 723 500 or email rdhana@ckscience.co.uk. To meet the rest of the CK Science team, please click here. Looking for a temporary science job in the North East or Scotland? Meet Graeme..
Are you looking for a temporary science job in the North East or Scotland? Meet Graeme Pallas…. You can contact Graeme on 0119 384 8905 or email gpallas@ckscience.co.uk. Meet the rest of the CK Science team here. Search our temporary science jobs here.